Prototype cover of the game featuring screenshots from the prototype, as seen on a store display card at VidPro. 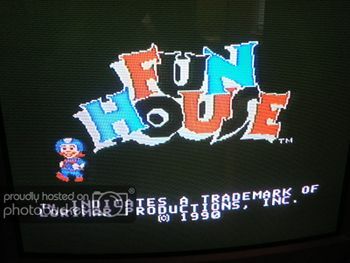 Fun House is a video game released in 1991 for the NES developed by Realtime Associates and published by Hi-Tech Expressions. 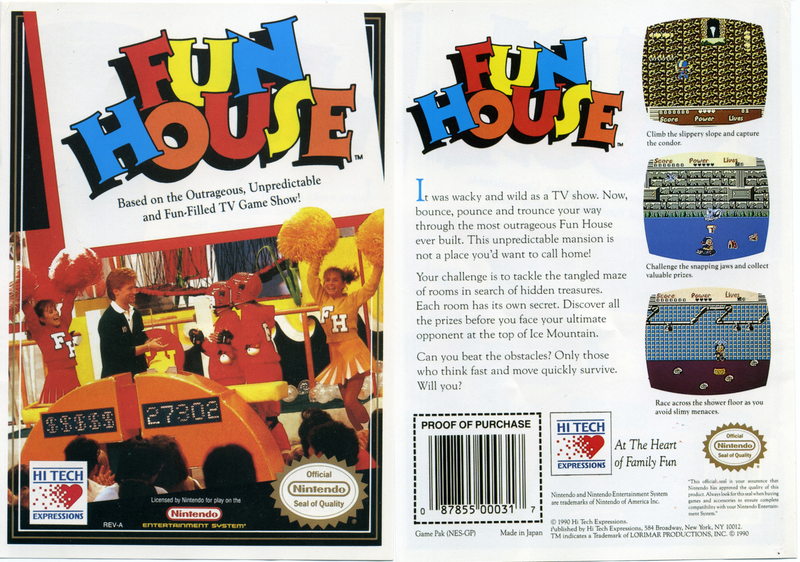 It was based on the U.S. version of the game show of the same name. Originally, the game was planned to be developed by Minds Eye Technologies and was going to be a platformer, but switched developers and was changed to a top-down action game for unknown reasons. The prototype has you playing as a contestant in The Fun House, you are given levels to choose from which vary from rock climbing, getting key in a short amount of time, paddling down a sewer, scuba diving and being a slippery shower. 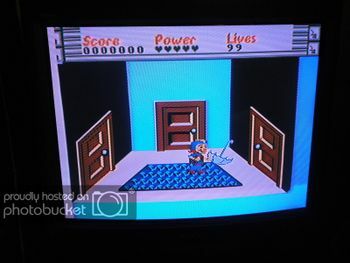 In October of 2012, a prototype of the unreleased version was found by Mark and Mack Nolan on NintendoAge forums, which they shared some screenshots of the game. However, a ROM has yet to be dumped anywhere. Little other info is available. 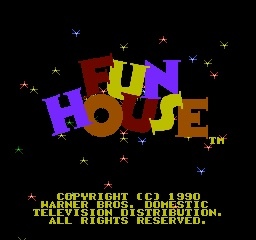 The released game’s title screen.